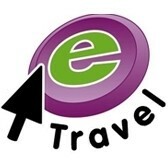 A travel agency for you in Hilton, contact Belcy Morris at Belcys Travel today. Bookings of all Corporate and Leisure travel; i.e. flights, car hire, hotels, group incentives, youth travel, skiing, cruises, coach tours, outdoor adventure packages, beach holidays, special interest tours to anywhere in the world.